Dr. Brown’s mantra was “…education first, education always…the way to personal advancement and a better life. “ He grew up quickly after the death of his mother when he was four years old. Fortunately, his loving grandmother became a surrogate mother for him and his sister, and with the guidance of his father, young Gerard pushed through society’s restrictions and obstacles of the time to forge his personal path to success by using his intellect and personal courage. Young Gerard’s personal path would lead to obtaining undergraduate degrees in biology and chemistry. He next entered Howard University and obtained degrees in dentistry and maxillofacial surgery. Remembering his family and community and the support they provided him, to serve his community and country remained central to his plans. Dr. Brown closed his successful dental practice in Washington, DC and joined the U.S. Air Force in 1951, devoting 20 years in service to his country and rising through the ranks to Lieutenant Colonel. In that painful era of overt discrimination, Dr. Brown would recall his grandmother’s enduring words of encouragement—remain strong and independent, extremely disciplined, and life will have much to offer to those who choose to study, work hard and embrace with zest and commitment the opportunities that present themselves. One important opportunity was participating in the Montgomery Bus Boycott with Dr. Martin Luther King, Jr. This experience solidified Dr. Brown’s devotion to the improvement of society as a whole through non-violent reform of social injustice and through education. Dr. Gerard Brown, D.D.S., Lt. Col. (Ret. ), would return to his roots in Victorville as an oral surgeon. To date, he remains the first and the only African American oral surgeon in the Victor Valley. His ledger filled with “firsts”—the first oral surgeon, the first African American elected official in 1978 (Victor Valley Union High School Board), and the first to be appointed to the San Bernardino County Fair Board by Governor Edmund G. Brown. 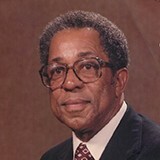 He went on to serve as Foreman of the San Bernardino Grand Jury, a member of the Daily Press Editorial Board, Rotary Club of Victor Valley, Toastmasters, The Paul Harris Men, Victor Valley School District Board, and a life time member of the Desert Community United Way Board of Directors, and the NAACP.